The CPG giant ran a campaign with Adaptly and Twitter from March 24 through April 27 to take its "Human Energy Crisis" campaign from last year social. Promoted Tweets were targeted toward social chatter around topics like cooking and food, entertainment, family, home and style at the same time that TV programs aired with Quaker commercials. A series of 10 tweets were targeted based on when a Quaker commercial ran. 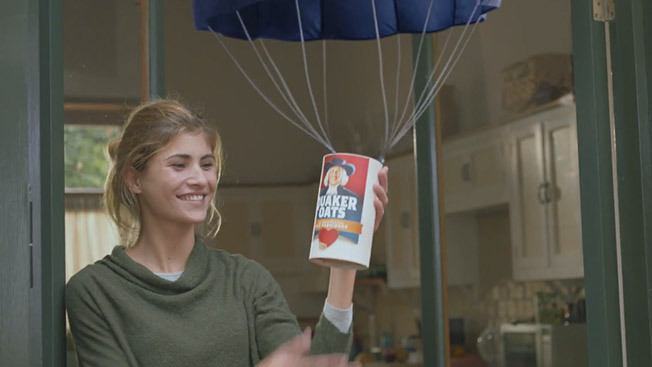 "We’ve consistently supported our campaigns across all channels, but this was our first foray into this type of targeting with a paid media effort," said Quaker's Alex Holzer, senior director of marketing for North America. "[CPG brands] know they can achieve a certain reach and frequency, and have seen the brand-building impact,” explained Sean O’Neal, president of Adaptly. "But a marketer’s connection with a TV audience can be fleeting—30 seconds, to be exact."